Home insulation makes your home a more comfortable place to live. 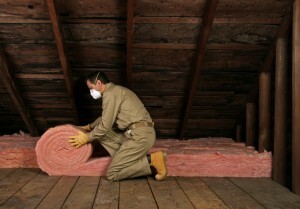 A home’s temperature is regulated by its insulation. During the hot summer months, cool air is kept inside the home, while hot air is kept out. During colder months, warm air is able to stay inside your home, while cold air is kept outside. This regulation means that your cooling and heating system will not have to work as hard, and you will be able to save a significant amount of money on your utility bills. 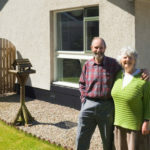 Home insulation also allows your home to be a quiet place of residence. It helps to block out outside noises like traffic and loud neighbors. If you do not feel like your home is very well soundproofed, it could be from a lack of proper insulation. Home insulation is rated by Insulation R-Values. If you cannot decide which grade you should be putting into your home, following the R-Value will show you which insulation works best for your state or area. Different parts of your home may have different recommended R-Values for home insulation. For example, most of the State of Florida recommends R-30 to R-60 for attics and R-13 to R-15 for walls. By hiring an insulation contractor, you can rest assured that the correct insulation will be placed in the right area of your home. 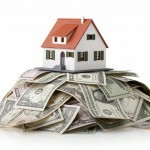 At Polk County Insulation, we know exactly what type of insulation your home needs. We use only high-quality insulation and offer fast and friendly customer service. We are located in Auburndale, Florida and service all surrounding areas. For more information, please give us a call.